Thanks to APANO members, and thousands of other Oregonians, we are demonstrating again that dignity is stronger than hate. Since 2015, APANO has been closely tracking and building alliances to block three anti-immigrant ballot measures from qualifying, and we’re proud to announce we’ve been successful. We will not face measures for English-only, Voter Restrictions and Mandatory E-Verify on the ballot this fall. 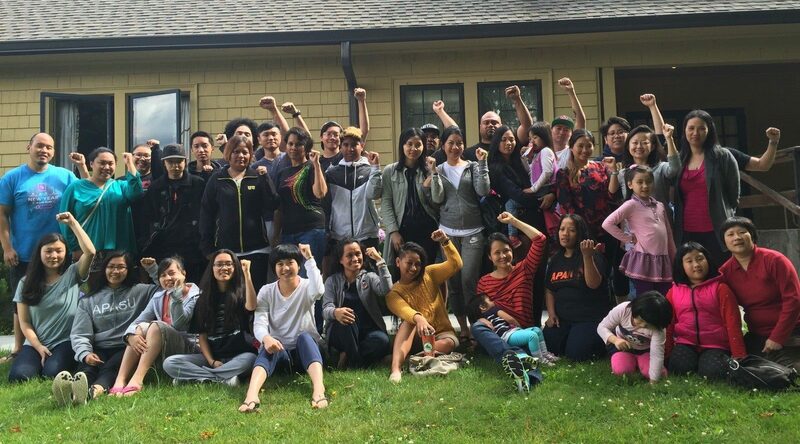 Behind the scenes, APANO worked with Causa to co-convene, a coalition of communities of color, labor, and progressive organizations to engage in the ballot measure qualification process. We worked collaboratively to fight for an appropriate ballot title and description by filing legal petitions and objections that highlighted the negative impact and barriers theses measures created, raising the resources needed for this legal support, and building on our partnerships that have advanced racial justice in campaigns such as Yes on Measure 88 Drivers Cards and Raise the Wage. However, our struggle against extremists and out-of-state millionaires is not over. The extremist organization, Oregonians for Immigration Reform (OFIR) continues to coordinate with national hate groups and out-of-state funders such as Loren Parks, to target immigrant families in Oregon. First, they sponsored measures to push immigrants further into the shadows by trying to make English the official language of Oregon, mandate business use of flawed E-Verify programs to screen employees, and roll back people’s right to vote by cancelling all voter registrations and complicating the process of re-registering. Because people like you stood up and said this isn’t the Oregon we want, they have shifted their focus. And limit voter education and participation. Loren Parks, single largest donor in Oregon political history, is playing his usual role and is currently a significant financial backer of these measures with a sizable financial contribution exceeding $500,000. On top of that, OFIR and others have vowed to return next election cycle with their anti-immigrant agenda, and hate is still a dominant theme in this—and the next—election. The anti-choice group Oregon Life United has already launched efforts to qualify a measure banning public funding for abortion for the 2018 ballot, after failing to qualify in 2016. We must be committed to long-term change and we have faith in each other to see this through. We believe Oregon works best when we support, care, and invest in the health of all our children and protecting our environment. We believe that all workers should be treated with dignity and respect. We believe in protecting people’s right to vote and building movements around people power. But our ability to collectively move progress forward in Oregon is under attack and we have to be vigilant this election cycle. We thank you for joining us on this journey to create an equitable Oregon that treats everyone with love, justice, dignity, and respect.